It's a big day for Game of Thrones news. Ahead of the 2019 premiere of the runaway HBO hit's eighth and final season, the network released a surprise trailer touting its upcoming lineup. There's a brief glimpse at new Game of Thrones — like, really brief — which makes the news that the premiere might be later than originally thought even harder to swallow. In the clip shared by HBO, Jon Snow (Kit Harington) embraces Sansa Stark (Sophie Turner) at Winterfell. People reports that although some have said the footage is old, it is in fact from the upcoming eighth season. We're already emotional. The clip is fast, but Jon Snow is wearing his infamously serious, downtrodden expression, and Sansa looks as powerful as ever. Wait a minute. In two years? HuffPost reports that to qualify for nominations at the 2019 Emmys, a series must air between June 1, 2018, and May 31, 2019. Based on a statement made by HBO's president of programming, Casey Bloys, during the Television Critics Association press tour in Beverly Hills in July, fans expected Game of Thrones to premiere in April 2019. Bloys said the series would air in the first half of 2019. However, we shouldn't fret just yet. After Bauer's interview with HuffPost, the outlet updated their article to reflect a statement from a rep at HBO. The rep told HuffPost that, despite VFX going into May 2019, Game of Thrones season eight will definitely premiere in the first half of 2019. Although the May 31 cutoff is a hard deadline for Emmy nominations, a representative for the Academy of Television Arts & Sciences told HuffPost that it will consider "hanging episodes" that air after for a series or season that aired the majority of its episodes before May 31 so long as those "hanging episodes" air before the first round of voting. 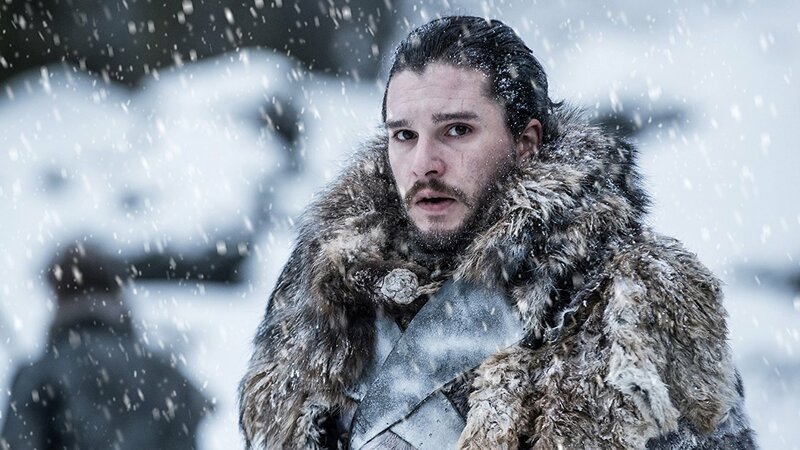 Considering how long fans have to wait for Game of Thrones season eight and how many Emmy nominations the series has already acquired during its run, we suspect that HBO will push to have the series finale air with plenty of time for voting so it can make the cutoff for the 2019 awards. In the meantime, we'll be watching that HBO trailer on repeat and reading every analysis of the footage it provides.